Fr Molloy campaigners to visit European Commission ???????? Total surprise to the Molloy family. Who are the campaigners. ? Who are they representing ? 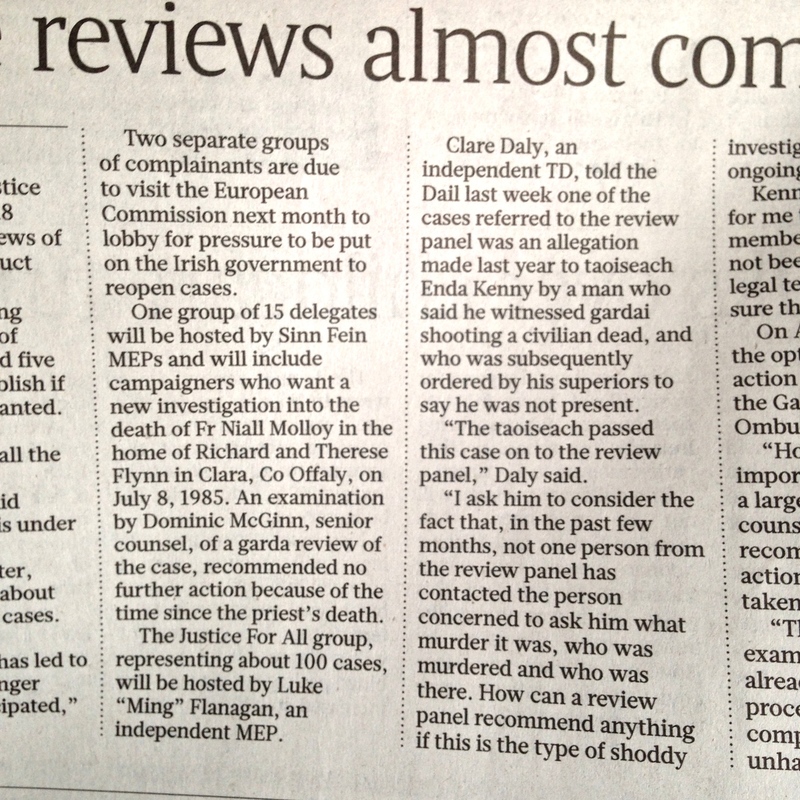 Who has been in discussion with Sinn Fein MEP’s about our case ? Seemingly a delegation travelling to Brussels is to be facilitated by Lynn Boylan Sinn Fein MEP. No further details except that Gemma O’Doherty, former Travel Editor of the Irish Independent is part of the delegation.